SEJONG -- Suicide was the No. 1 cause of death among teens and young people in South Korea in 2016, with the suicide rate rising over the past decade, a report showed Thursday. According to the report by Statistics Korea, the suicide rate per 100,000 for those aged 9-24 stood at 7.8 in 2016, up from 7.4 in 2003 and 7.2 in 2015. The corresponding figure was 10.3 in 2009. In 2006, traffic accidents topped the list with a rate of 6.4 per 100,000, with suicide coming in second at 6.0, the report showed. The nation's suicide rate has been on the rise since the early 1990s. It peaked in 1998 before declining slightly afterwards. Since 2000, the rate has generally been growing again. 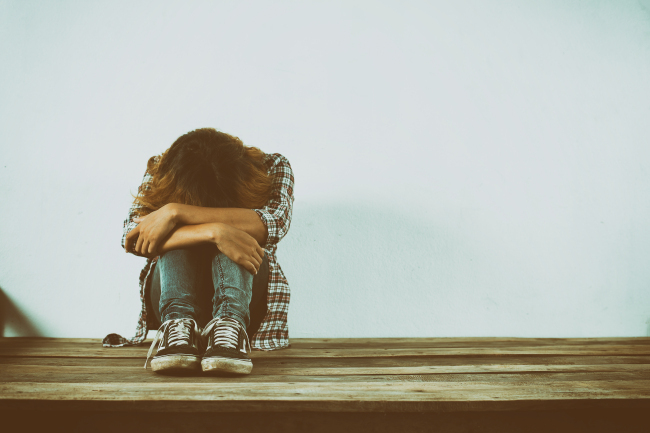 Many teens and young people are under the gun to get good grades and do well academically, which has been cited for causing them to feel suicidal, with economic factors contributing to the pressure. The report showed that 37.2 percent of young people said they suffer from chronic stress in 2017, compared to 46.5 percent a decade ago, with pressure from school and work being the main contributors. The report showed that 6.4 percent of teenagers in middle and high school smoke, a drastic fall from 13.3 percent in 2007, with 16.1 percent having drunk some form of alcohol, also down from 28.6 percent in 2006. According to the report, those in the 9-24 age group reached 8.99 million last year, accounting for 17.4 percent of the country's total population. The ratio is expected to further fall to 11.1 percent in 2060, the report estimated. The ratio marked the lowest level since the related data started to be compiled in 1970, when it stood at 35.1 percent. The sharp decline was attributed to fewer marriages and the country's chronically low birthrate. Among school-age children, those from multicultural families reached 109,000 in 2017, up 10.3 percent from the year before. That is equal to 1.9 percent of more than 57.3 million students in the country last year, with numbers expected to rise steadily in the near future.